Cytovac is on the threshold of being able to provide effective cancer patient treatment without the serious adverse effects typically associated with traditional cancer therapies. In several clinical trials, the ALECSAT therapy has been proven safe, well tolerated and without significant serious adverse effects. In ALECSAT therapy the patient’s own potential cancer-fighting cells are provided with an opportunity to grow and become active – without the inhibiting and negative influence by the cancer cells. In the treatment of glioblastoma brain cancer, the clinical Phase I study shows that, in some patients, the disease is stabilized, and considerable reductions in tumor sizes can also be observed, after the patients have been subjected to the ALECSAT therapy; and, there are also indications that the therapies may be life-prolonging. The clinical Phase I study on ALECSAT for treatment of pancreatic cancer showed that ALECSAT can also be used for this type of cancer – without adverse effects. Clinical Phase II study within Glioblastoma is currently conducted in four centers in Sweden, 62 patients has been included in the trial and the first clinical result PFS (progression free survival) is expected in H1 2020 followed by overall survival data in H1 2021. Cytovac has documented and shown the established production method to be efficient and potentially scalable. In the future the efficacy of the ALECSAT therapy will be tested on other cancer types. Cytovac is planning to support an investigator driven study within TNBC (Triple Negative Breast Cancer) starting in 2019 and a fully sponsored trial on sarcoma in 2020. 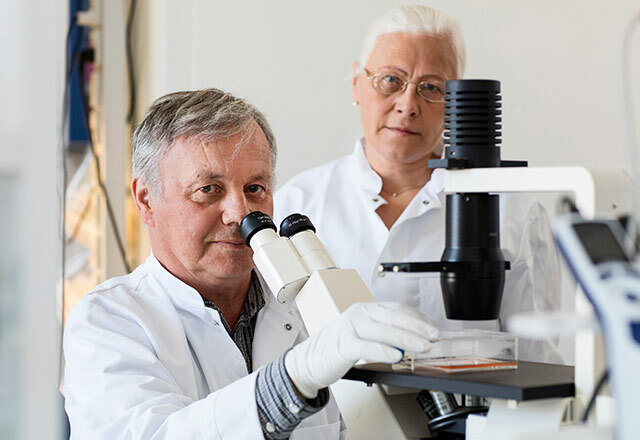 Together with the experienced Cytovac researchers, the company now works on an ambitious clinical development plan focused on development of ALECSAT therapy for glioblastoma brain cancer, triple negative breast cancer and sarcoma. Ongoing clinical Phase II study in glioblastoma may fully validate the potential of ALECSAT treatments as early as H1 2020. Potential further indications for ALECSAT include other cancer types in which the tumors have a high cancer testis antigen (CTA) expression on the cell surfaces, such as in lung cancer. ALECSAT is, to the best of Cytovac’s knowledge, the only CTA-based immunotherapy that targets multiple antigens, suitable for targeting solid tumors. The therapy differs from recently launched cancer cell therapies and most pipeline candidates as it targets a range of tumor antigens rather than just one. Normal cells are unaffected by ALECSAT treatment which reduces the risk of severe side effects and eliminating the need for immunosuppressant drugs that imply a risk for infections. The ALECSAT platform generates tumor-reactive effector cells targeting a broad range of tumor-associated antigens by using a single patient blood sample. Cytovac is preparing for commercialization and has already established an approved GMP manufacturing facility and research department with a scalable production process. The management team has extensive experience from commercialization of biotech products with over 10 market approved drugs. The Cytovac immunotherapy, ALECSAT, introduces cells that will attack cancer cells and stimulate the patient’s immune system. ALECSAT is distinct from other immunotherapies as it is exclusively based on the patient’s own cells. In total, 4 clinical Phase I trials have been performed within prostate, pancreatic and brain cancer. Cytovac has an ongoing Phase II trial on glioblastoma in Sweden and expect first clinical results in H1 2020. More than 130 patients have been treated and more than 400 doses administered – without the serious adverse effects known from existing cancer therapies. Cytovac’s production platform can be scaled up and potentially disseminated globally. The current ongoing clinical Phase II trial (in GBM brain cancer) may lead directly to registration studies. Patent protection of the ALECSAT therapy has been secured in 36 countries. Cytovac’s dendritic cell production technology and specialized cell production bottle are similarly protected by patent. The ALECSAT therapy has been granted Orphan Drug Designation by EMA and FDA. More than 130 patients have been treated and more than 400 doses administered – without the detection of serious adverse effects associated with existing cancer therapies.